Kingdom of Saudi Arabia is looking forward to introduce "Green Card" program for expatriates, which will be in place in 5 years, It is similar to United States Green Card system. This system may allow expatriates to get permanent residence in Saudi. - It will allow expatriates to invest in the Kingdom of Saudi Arabia. - Saudi Green Card will allow Muslims and Arabs to remain for long time in the Kingdom of Saudi Arabia. - The Saudi Green Card holders will have to pay Zakat, Valued Added Taxes, Insurance premiums. 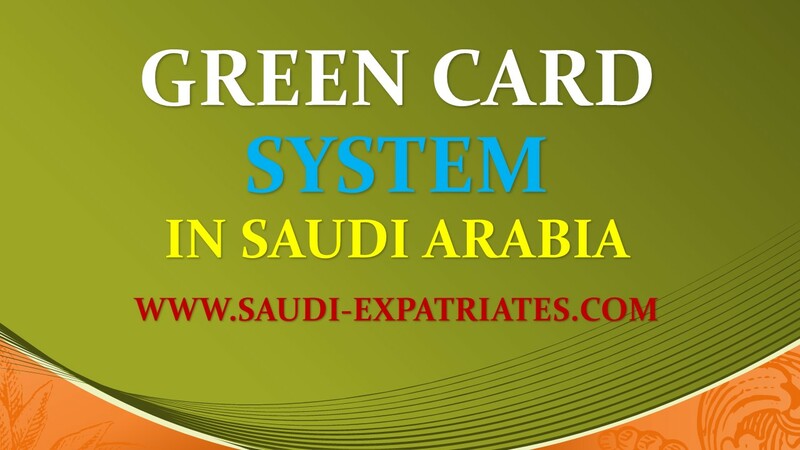 Green Card System is currently under study by the government of Saudi Arabia, So, It will be implement in the next five years.